Honestly, I seldom taken American food and not really familiar how was American food serve actually. 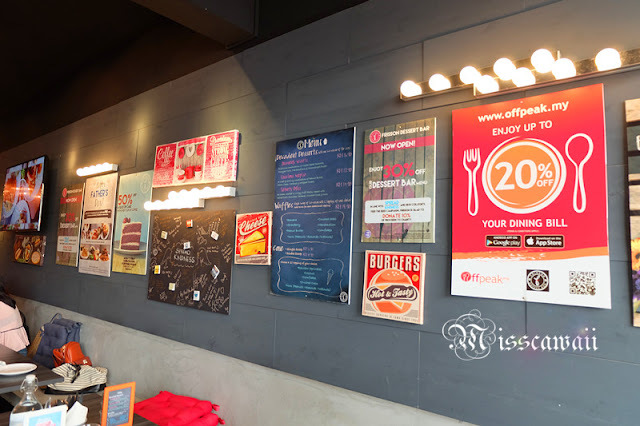 After step in to Frisson Coffee Bar, I have to said they are really serving quality American dish here with special menu. 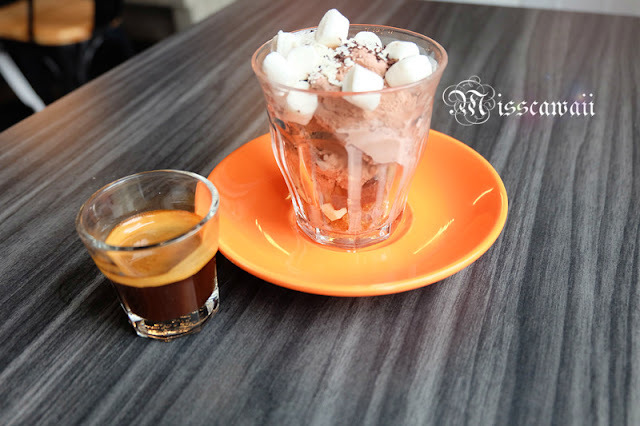 Affogato is one of special menu in cafe! Scroll down to see more. 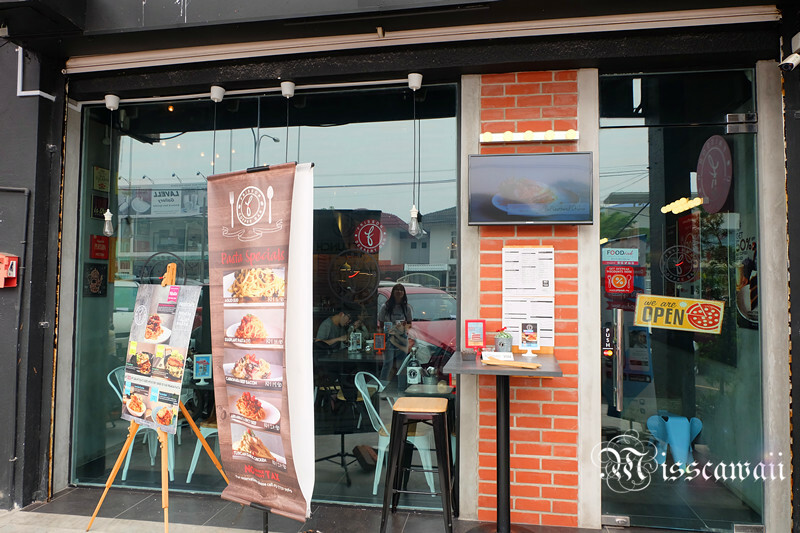 Just right beside Fat Spoon Cafe, same row with The Good Batch, the place is easily found by their signboard. 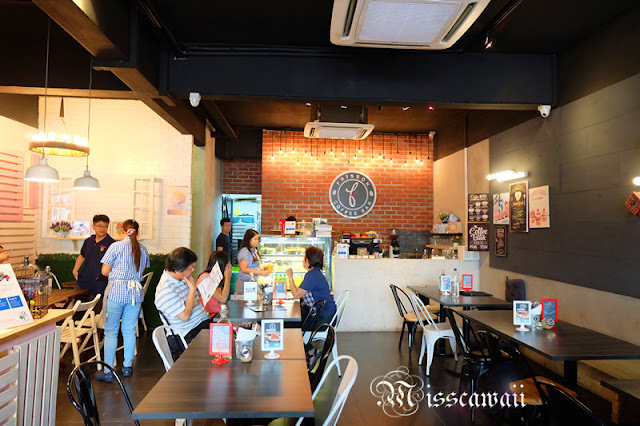 Although the haze is unhealthy on that day, but we are enjoy the time in Frisson Coffee Bar. The ambiance is simple enough with comfortable. You can choose few area that make you comfort to seat from next to glass door, a concrete with cushions or a pinky garden house corner. The owner is caring to his customer and prepare cushions to the concrete seat let customer easier to arrange their seat more comfortable. No more waiting, let's see my food and drinks now! Each of pizza served with 2 layers thin crust with size 8" inch on a pretty wooden plate. 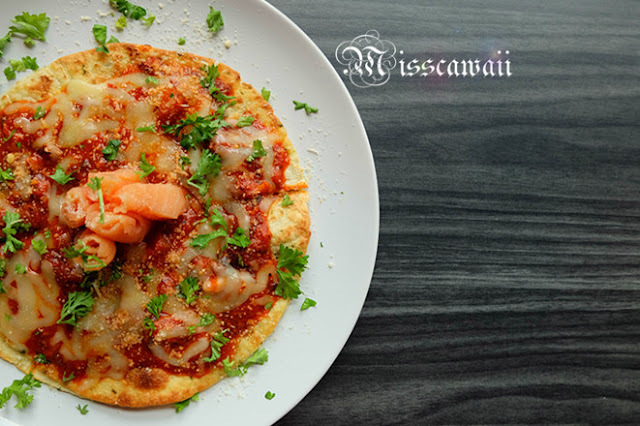 I have non see the pizza made in 2 layers before until Frisson, it's quite impressive. Don't worry it is too much for you, it just so "skinny". The soft-shell crab is deep fried with chilli padi, red peppers, prapika and chilli flakes served with spicy rosemary creamy tomato sauce. Who ever not really eat spicy, I will recommend you to share with your friend when having this. You will only feel spicy after few minutes. But I enjoy it because it's creamy and I love the sauce fully cover the spaghetti. 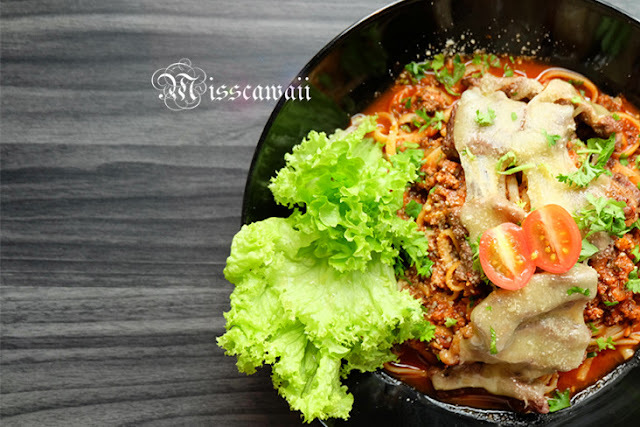 Luscious beef striploin covered with cheese, served with beef pasta mixed herb sauce. 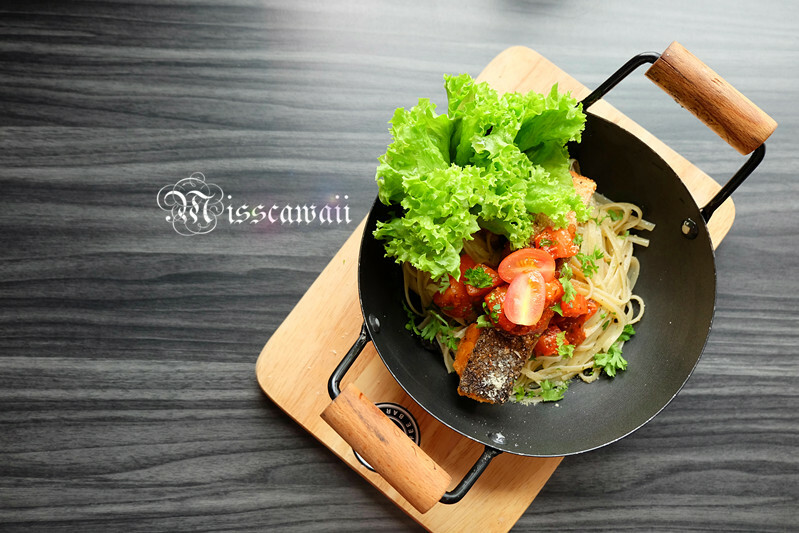 The salmon fillet was pan-seared perfectly topped with marinated tomato served with basil and parsley pasta. One of the premium pasta creation by Daren and I love the sauce. 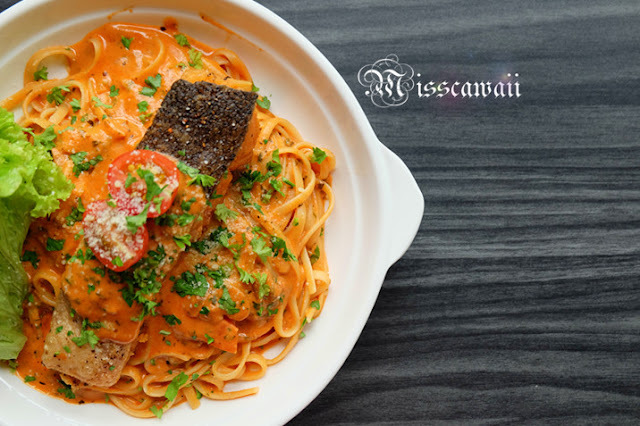 Another salmon fillet was pan-seared served with creamy tomato sauce pasta.The marinated tomato just good and it is not greasy. 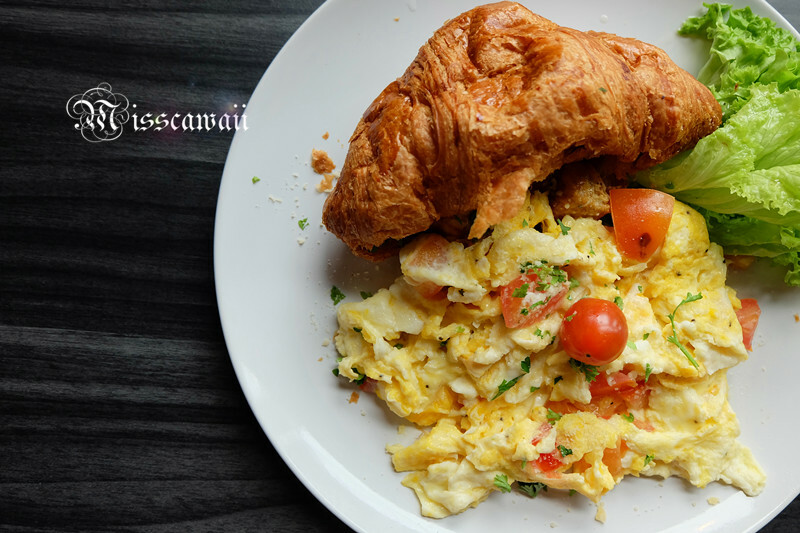 There is 5 spicy chicken breast wrapped in croissant come with scrambled eggs, tomatoes and some fresh salad veggie. This is one of the best selling in their cafe to bring an unique Asian flavor. The taste just nice with the "curry chicken" with their homemade croissant. Every cafe will create their own big breakfast and you will get the definitely "BIG" breakfast here. 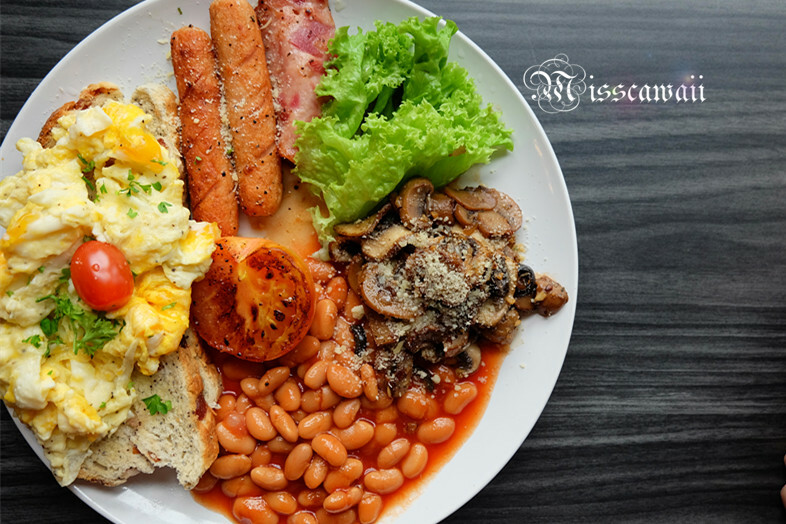 Each big breakkie set served with grilled tomatoes, mushrooms, chicken sausage and baked beans. Make your choice of beef bacon / chicken ham, and egg of sunny-side up / scrambled / omelet. After so much of main course, it's time to complete it with dessert. 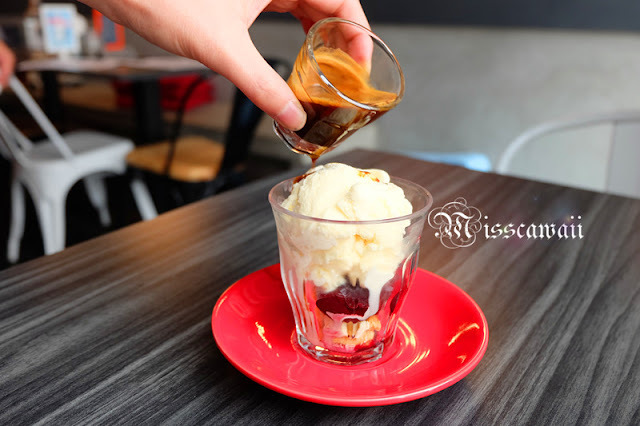 Affogato is the dessert from Frisson. Yes it is Affogato! Each of the Affogato comes with single shot of espresso and a scoop of premium ice cream from Australia. With the perfect combination of butter cookies, cherries, chunky white and dark chocolate, crumbled cookie toppings and shaved chocolate. This is the best seller Affogato and I agree with it. Topped with mini marshmallow, chunky white and dark chocolate, crumbled cookie toppings. This is special make for chocolate fanatic to fixed their cravings on chocolate. 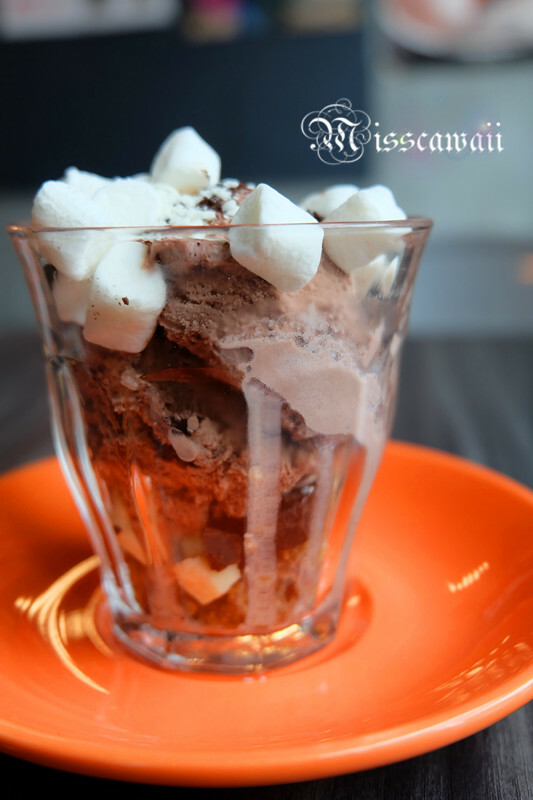 Remember, take one spoonful of the ice cream cover with all the ingredients in the glass after pour espresso. The taste and sweetness for whole glass just right with the bitter of espresso. 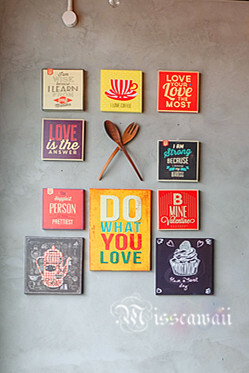 Frisson coffee Bar having variety of promotion. 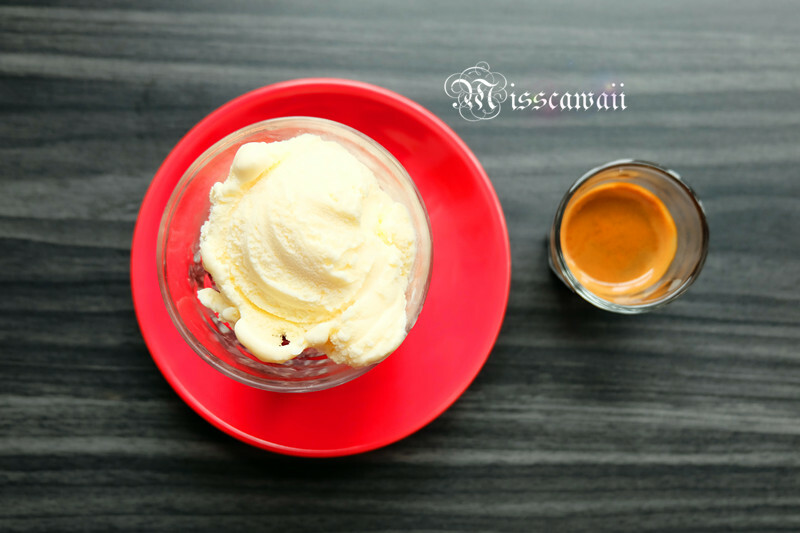 Enjoy 30% discount of Affogato when you order premium menu. They offer set lunch from RM13.90 on weekdays except public holiday. They serving cakes too, don't worry! The cheese filling is rich come with layers of salted caramel and apple bites. Did I mention their cakes is bake by their own too? 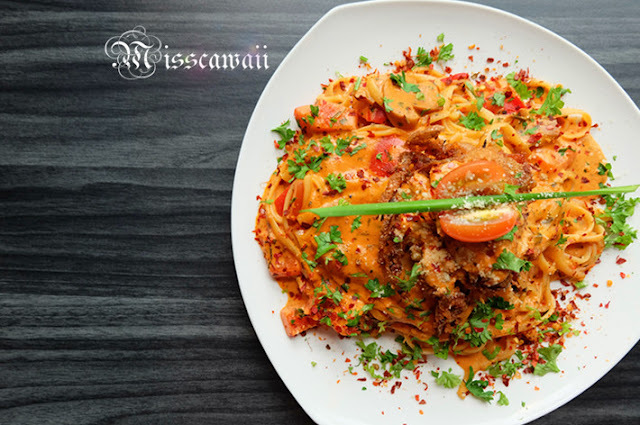 The food served in big portion, sharing meal is recommended. The price is slightly high compare to other cafe, but the portion will speak the price. The ambiance is cozy and comfortable to enjoy your meal. I have a best Affogato here. If you try out other Affogato series and found out it is a must try, please come back and tell me. 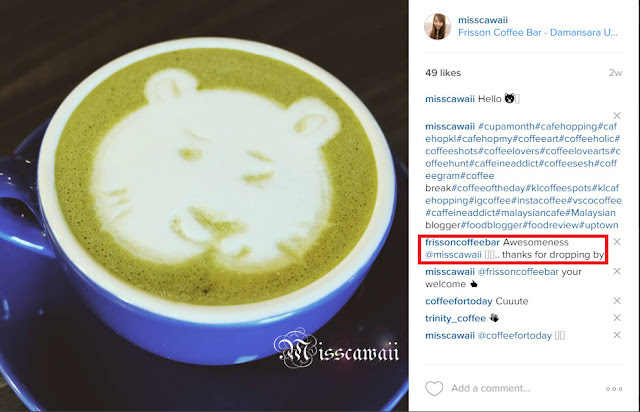 One more things is I love how Frisson Coffee Bar engage closely with their patrons in social media. They commented on my Instagram photo! Appreciated for this! 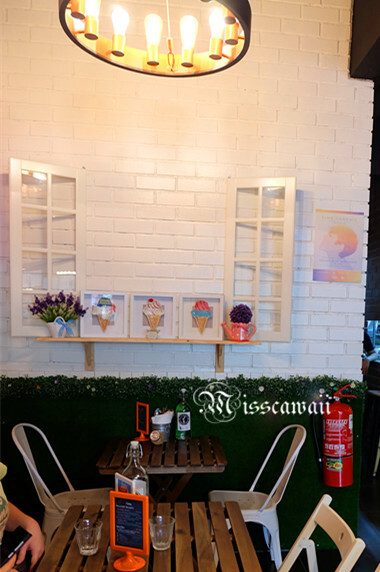 There is something surprise to their customer which is build up dessert bar on first floor with different ambiance. Can't wait to visit their new innovation after it's done! You may follow Frisson Coffee Bar Facebook or Instagram to get more updates. 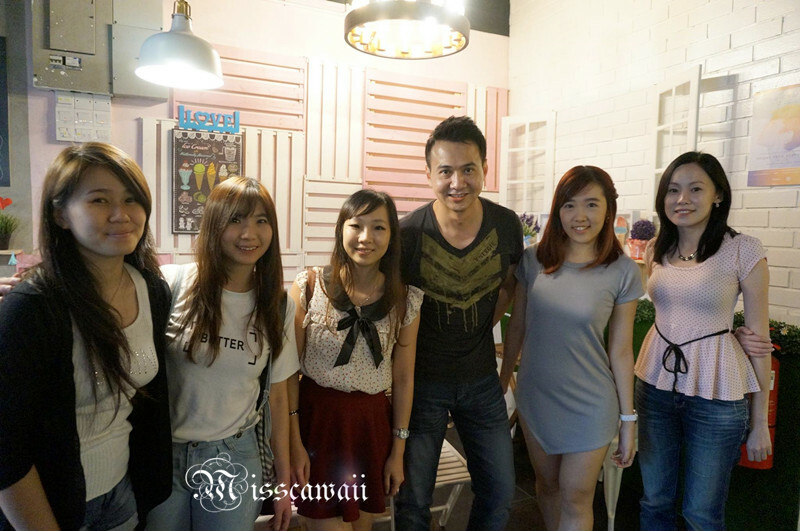 Photo opportunity with blogger friends and Daren, owner from Frisson Coffee Bar. **Thank you Seeties organizing this such awesome gathering and having fun during food tasting event. 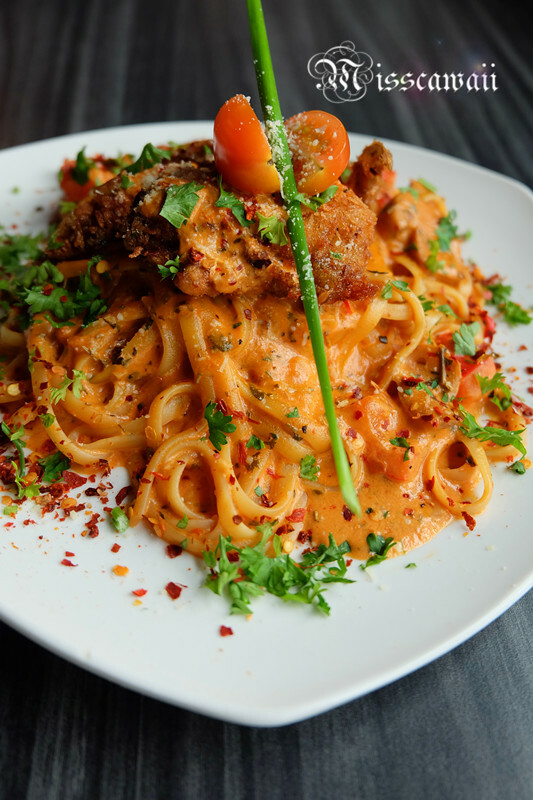 Love their pasta especially the soft shell crab! :) btw hope to see u again soon ya babe! wow~~~ I wanna try their croissant ala fusion chicken~~ and the creamy salmon is also one of the things that I have been eyeing for. Yes you should go and try their dish! Oh my God! The Salted Caramel Apple Cheesecake!!! Sorry...main course not my type,but desserts....I'll definitely hop by when I'm back to KL!!! The dishes are so nicely presented. And the coffee that you posted on Insta made me laugh. Is that a tiger? 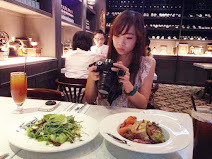 The food make me hungry now..... slurrppp! especially the coffee! gonna try it when i back to KL. 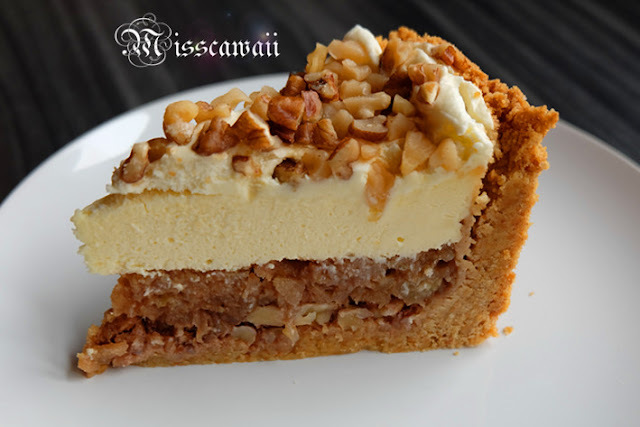 Salted Caramel Apple Cheesecake oh my is my favorite.. The big Breakie attract me. big portion. And my bf sure love the Affogato. So many mouth-watering food. Thanks for sharing! It's a nice place but getting a cab going into the area is horrendous. The food and the environment is just simply awesome! Such a lovely dining experience! oww ... Beef Pepperoni Pizza look tasty !! Ambience looks beautiful and the food is so mouth watering. I'm a dessert girl, so I was really tempted by the cheesecake. The atmosphere looks awesome too! Looks like a good place to blog, or to blog about. Ohhhh...nice. 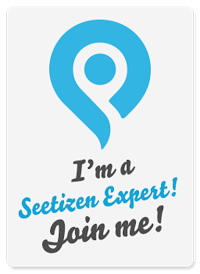 hope to add this info my cafehopped list soon. Thank you for your compliment. Drop bybif you are around. The food not bad here. Love your photos! 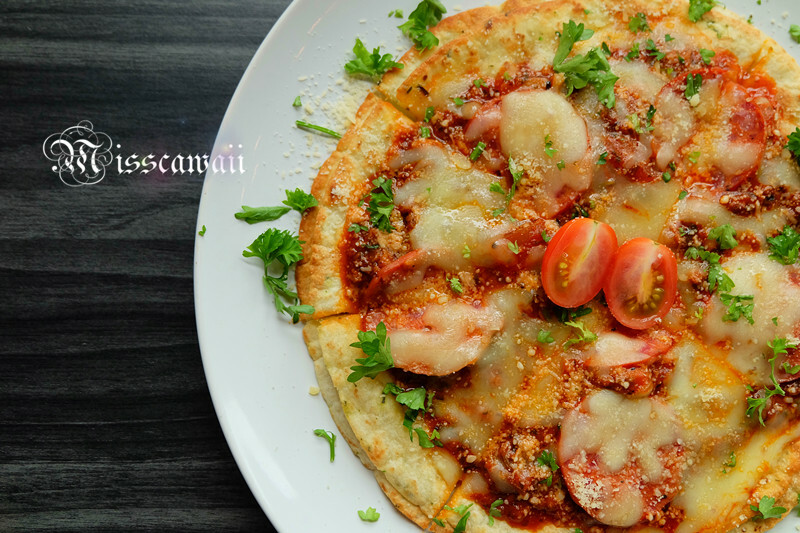 The pizza and pasta are so sumptious they made me hungry just now. Gotta try 'em out soon.